Finance Committee Chairman delays agreed budget transfer vote; MK Mualem-Refaeli furious. 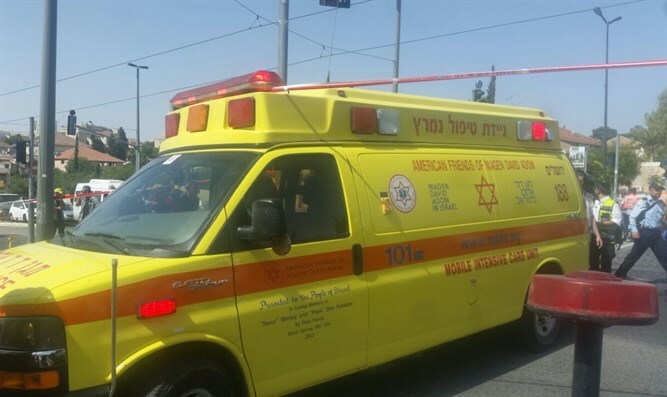 Knesset Finance Committee Chairman MK Moshe Gafni (United Torah Judaism) is delaying transfer of funds earmarked for MDA emergency first response units throughout Judea and Samaria. MDA made clear last week that without the funds, it would be unable to continue operating in the area, putting the lives of local residents at risk. Last week, the government decided to transfer NIS 5 million ($1.45 million) along with an additional budget designed to compensate local Judea and Samaria authorities for security expenses. But despite the decision, Finance Committee Chairman Gafni has refused to allow the transfer this morning, despite its being the last day of fiscal year 2017. MK Shuli Mualem-Refaeli (Jewish Home) ripped Gafni during the committee hearing. "So do you want more people to die in Judea and Samaria simply because there are no opening negotiating positions?" "It was agreed that the [Finance] Committee would approve the funding transfer for the MDA today." Gafni, who claimed the money was delayed following a parallel NIS 500,000 ($145,000) budget transfer delay to the haredi rescue organization United Hatzalah, sarcastically replied to Mualem-Refaeli, "United Hatzalah doesn't exist in Judea and Samaria."